This way you can keep an eye on the most recent posts made on both of these blogs. The Green Lane Allotments Weather Diary concentrates on weather records taken in our garden and the effcts that the weather has on our plot and activities. Direct links are also given to all these areas on the sidebar of all our blogs. We hope that you find your way around. Just had another message from the animal sanctuary. Our little hog is a female and is doing well but they are keeping an eye on her leg. She has now been popped in the baby pen and will stay there all winter. 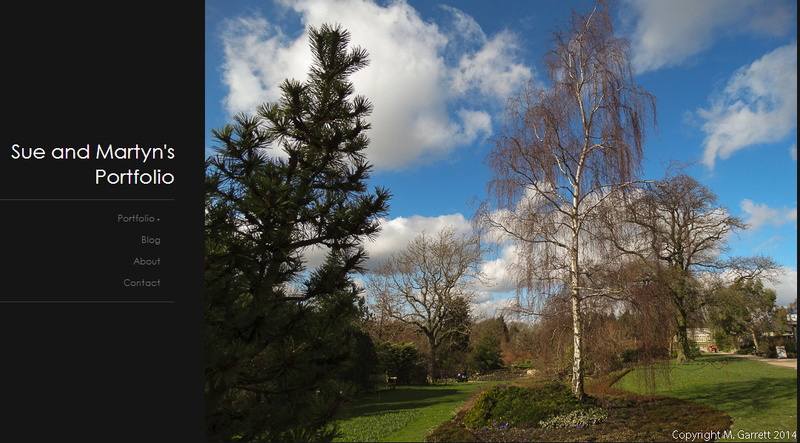 As mentioned in the last diary entry winter can be a time when gardeners can be at a loose end and so my husband has decided to take up another hobby – weather recording. He purchased and fixed up all the necessary kit in our garden. We have decided to create a second blog where the weather information can be shared. "The little hog you brought in is doing well now, and since being wormed and had a course of antibiotics is now putting on weight and should begin to thrive. We have had 13 brought in over the last three days so it has been a bit hectic". So it was all worth it. Inactivity on the plot has been made up for elsewhere this week. At the beginning of the week our car became a hedgehog ambulance. 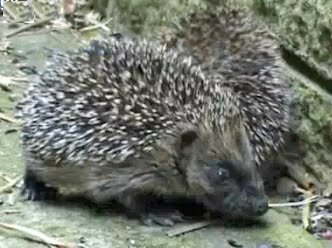 Our September diary featured a video of two baby hedgehogs spotted in our garden. As these were obviously late babies I have been keeping watch for them. I was worried that they wouldn’t make the weight - 600g - needed for successful hibernation. One was spotted in our garden last week and ended up having an unexpected journey to a new home. 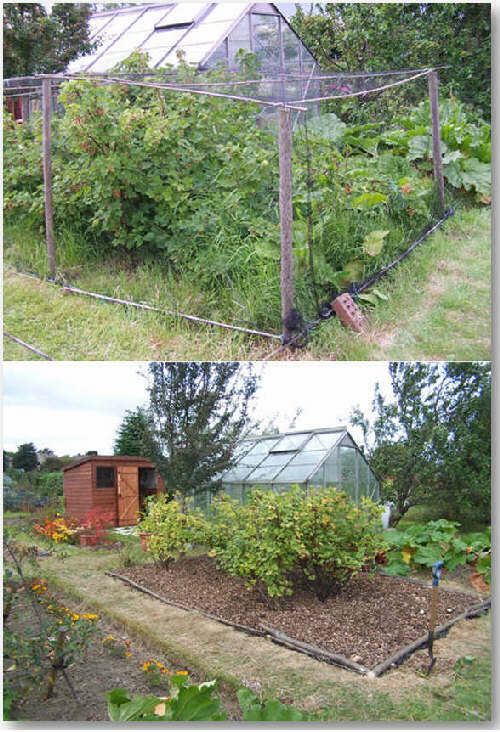 The October photo shoot of our allotment has also been added. It just doesn't seem to be possible at the moment to do anything on the plot without whitefly getting in on the act. Yesterday one decided to take a bath in my coffee. When weeding it is advisable to keep your mouth firmly shut and only breathe when absolutely necessary. As soon as any type of plant is gently touched clouds of these tiny moth like insects rise into the air. It seems this is very much the pest of the moment but what do you know about these tiny invaders? Click here to read what I have managed to find out. There seems to be lots of ideas for how we may try to control if not eliminate these pests but do any of them work? If you have any tried and tested methods for control on food crops then please share. You may be like us and feed the birds every day but the official RSPB Feed the Birds Day is this Saturday 24 October. 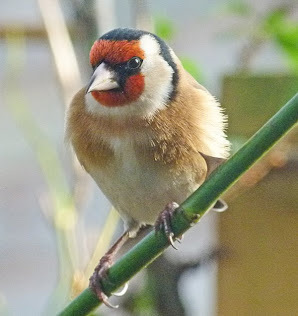 The RSPB web site gives advice on feeding birds and helping other wildlife. 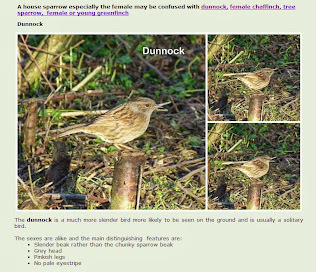 The RSPB are running events linked to this on 24 & 25 October. If you don't usually feed the birds why not start this weekend? Don't forget that birds need water for drinking and bathing too! 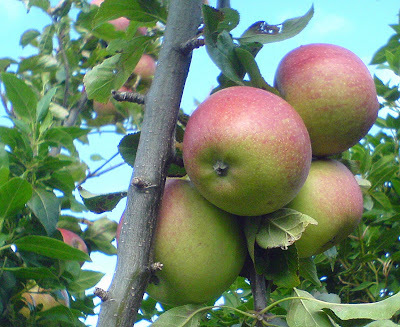 Apparently last year the British ate twice as many imported apples as grown in Britain. We have been lucky enough to eat apples straight from our trees this year from both the garden and the allotment and they have been delicious. The ones pictured above were growing in our garden. We planted this tree as a cordon a long time ago. But now it just does its own thing! As we planted several varieties we are unsure of which this is. We think it may be Peasgood Nonsuch - anyway it's a really good apple! Apple Day was set up as a celebration of the many varieties of apples grown on our home shores and also to act as a warning of what we could lose if we don't support locally grown produce. For a brief history of Apple Day click here. The last opportunity to sign the petition is on Friday so if you wish to sign you need to hurry! Our plot neighbours talked us into growing some mushrooms this year – not the common variety that grows quickly and prolifically but something that presents more of a challenge - shitake for us and lion’s mane and oyster varieties for them. We each received short pieces of dowel impregnated with the appropriate spores. These had to be embedded into sections of freshly cut, damp logs. Now it is just a matter of waiting for what could be quite a long time. Choosing next year's seed potatoes? Last week we dug the last of our potatoes and this week we have been browsing seed potato suppliers trying to decide which varieties to plant next year. There always seems to be so much to take into consideration. Suppliers are obviously going to present the seed potatoes that they sell in the best light so a website such as The British Potato Variety Database can be a good source of information. This week I received a response to the email that I sent to the CRD in which I raised some concerns regarding the reinstatement of the licence for aminopyralid. At this time of year weather conditions and the slackening of pressure to keep on top of things means visits to the plot are by no means as regular. It is also a time when changes and improvements are planned for both the plot and the garden. As usual we are full of plans, whether they will all be achieved is another story. Two MPs Paul Burstow Lib-Dem Member for Sutton and Cheam and Tom Watson Labour MP for West Bromwich East have both tabled early Day Motions asking for a debate in the House of Commons regarding the above. Click on the name of the MP to view their EDM and the list of MPs supporting them. In order to achieve a debate sufficient MPs have to offer support so if you think the issue should be debated then contact your MP and ask them to sign up. If you don't know the email address of your MP then you can use the WritetoThem website to contact them. 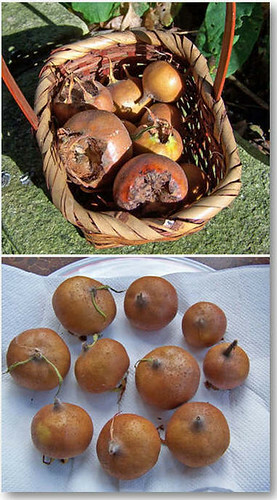 We harvested twice as many medlars this year - ten. They were, however noticeably larger than last year’s fruits. This represented a 100% pollination rate as every flower formed a fruit. The fruit had started to fall from the tree and so I assumed that the time was right for picking. The fruits have now been set out to blet. Browsing the internet it states that the fruit should be laid out on absorbent material such as straw but this seemed over the top for just ten fruits and so I have used pieces of kitchen towel. We now eagerly wait to see what happens! 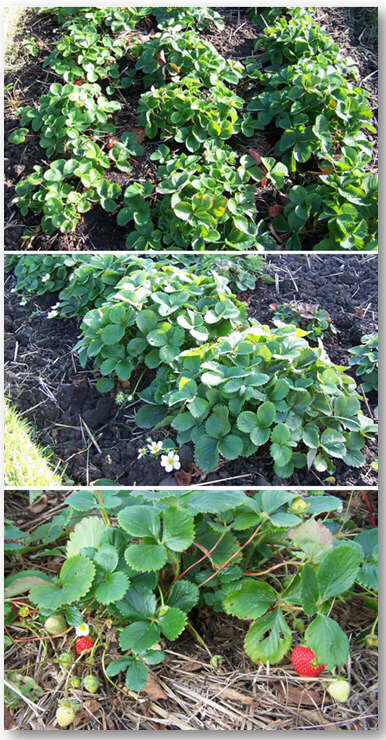 The treatment given to our strawberries after fruiting worked so well that we now have a healthy show of new leaves and are still gathering fresh strawberries. The plants are still producing lots of flower but I expect the frost will soon put paid to that. However, it's good to note that the plants are flourishing and may repeat the bumper crop that we enjoyed this year. If you find a strawberry that has been nibbled by slugs, don't remove it. If you leave it on the plant then the slug will return to eat more of this berry and not move on to another victim. When I read this I was sceptical but it worked - apparently it works with tomatoes too. I'm not sure how it works but maybe slugs follow their scent back to the place where they had a good meal. If a berry has been 'broken into' maybe the scent is stronger or it is easier to tuck in. and get 10 Crocus bulbs FREE! Pat & Joe sent me this photo. The one on the left looks like some weird sort of sea creature attacking the one trying to run away on the right. What do you think? - no rude replies! One point has come up in discussion with affected growers which concerns us as revealing a loophole in Dow's stewardship campaign. We are worried about the not inconsiderable quantities of this product still in the possession of people such as stable owners and others. It is likely that its use will be resumed for spot removal of weeds in paddocks etc with the result that manure supplied to allotments and gardens will continue to suffer contamination. Has consideration been given to these residual stocks and a way of ensuring that they are not used? The only aminopyralid products which may now legally be used are the two products for which approval has recently been granted; these are Forefront with approval number 14701 and Mileway with approval number 14702. Any aminopyralid product with any other approval number may now only be stored for disposal and may not be used; anyone using these 'old' products will be doing so illegally and will be subject to appropriate enforcement should they be discovered to be doing so. I understand that Dow have taken steps through their distributors to identify and recover unused stock and that they believe that only small amounts of the products now still remain in the hands of users. It is certainly possible that stocks of manure containing aminopyralid residues from use in 2007 and 2008 might still be available so you will, I'm sure, accept that, even with Dow's stewardship programme, anyone now obtaining manure for their garden or allotment will need to assure themselves that the manure is suitable for their needs, and not only in respect of herbicide residues such as aminopyralid, but also any other 'contaminants' such as veterinary medicine residues that they would not want. We will, of course, continue to monitor this issue so if you do come across evidence that things are not working as anticipated - whether this is stocks of manure containing aminopyralid reaching allotments and gardens, or the incorrect or illegal use of aminopyralid products - do please let both us and Dow know. I hope this answers your questions but if you would like clarification or further information on any point, please let us know. Please also let me know too so I can include your information on my website. I could also add a warning that straw mixed with manure could also contain residues of disinfectant - apparently I am told that some allotment holders used to get straw-based manure from a slaughterhouse until it started to distort crops. That followed new disinfecting regulations on slaughterhouses following the BSE scare. Following suspension of the use of the products, Dow AgroSciences initiated a major awareness campaign, reminding all those involved in distributing and using the product to follow the label instructions and only to use manure on-farm and on certain crops. At the same time, through published articles, advertisements and contact with trade associations and allotment societies, attempts were made to alert all those who use manure to the issues and how to minimise the chances of any problems. A website was established which included a simple bioassay for gardeners to help determine if manure had any herbicide residues. If manure was suspected to contain herbicide residues and the owner agreed, Dow AgroSciences arranged for its removal. These actions have had a positive impact. Despite awareness of these issues being far higher this year, the number of reported incidents where aminopyralid is implicated has fallen. The Advisory Committee on Pesticides (ACP), at its May and July meetings, considered a range of further information on the reported incidents and the properties of aminopyralid. Major changes to the way the herbicide is to be sold and used were proposed. The ACP advised Ministers that these changes reduced the risks involved and approval could be recommended. The minutes of the ACP meetings have been published. The information considered by the ACP is in the process of being drawn together and will be published on the CRD website in due course. Ministers have accepted this advice and new approvals have been issued. Use only on grassland for grazing will mean that the majority of manure will fall back onto the treated grassland. Small accumulations, for example with dairy herds in milking parlours, are to remain on-farm and be spread only on grassland. There will not be use on grassland for producing fodder, much of which is fed to cattle housed through the winter months that results in major accumulations of manure. The product is to be used only by those with cattle or sheep, not those with horses. A high proportion of incidents arose from horse manure where fodder was brought in and there was no or limited scope to spread the resulting manure on the premises. These changes are designed to prevent sale of manure from treated grassland being supplied to gardeners and allotment holders, eliminating the risks involved. Prior to sale of the product, potential purchasers are required to receive training from qualified advisors (British Agrochemicals Standards Inspection Scheme certified) so that the risks and how to prevent these are fully understood. Checks will also be made on the proposed use and ability to meet the warnings and restrictions. Only when all these checks have been satisfied will the product be sold. The second product is for use against invasive and pernicious weeds in amenity situations (e.g. ragwort and Japanese knotweed on roadside verges, railway embankments or industrial areas) which are rarely grazed and where there is no fodder or manure collection. I've had a request for some jack o' lantern photos - at the momnet this is the best that I can do! If anyone would like to send me a photo of a jack o' lantern or pumpkin head that they have made then I would be pleased to post some photos. Just one photo would be good but in the unlikely event that I am swamped by photos I'll choose the best! Just send a JPEG image using the email link on the sidebar with a bit of information about yourself and anything else you want to tell me. I suppose all we can do now is hope that the stewardship works but manure will be off our shopping list for the foreseeable future! So what do you think? Comments are welcome. Agenda Item 2: Secretary’s report. 2.1 The Secretary to the Committee reported on the recommendations made at previous meetings. Members heard that Ministers were considering advice given at the last Meeting on aminopyralid. 11.1 The Committee considered the items for information received since the last meeting. As usual the months tick on by - October's diary has now been started! October was heralded by fierce winds that have either stripped most leaves from bushes and fruit trees or reduced them to tatters. The large felty leaves of the kiwi are now brown and shrivelled and the banana plants in the garden are completely tattered and sorry looking. One positive is that the strong winds have at least kept any signs of frost at bay. 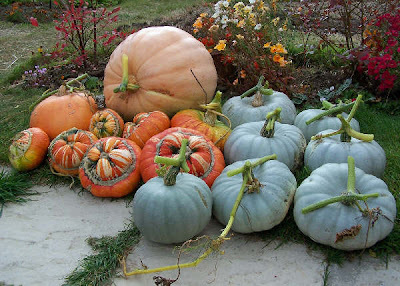 It's a good plan to gather in your squash and pumpkins before Hallowe'en or they may just disappear! Now that much of the plant growth has died down they tend to advertise their presence and could be tempting to wouldbe witches and warlocks! 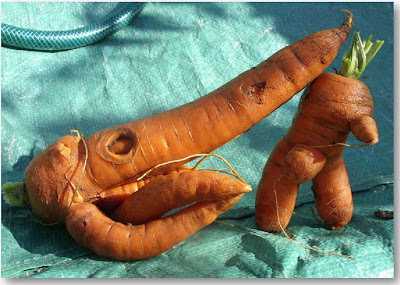 On "The School Vegetable Patch website" I have started a calendar of suggested gardening activities for schools. Many of the activities will be just as appropriate for 'grown-up' gardeners or those gardening with children at home. The trees are really beginning to take on their autumn colours and now October has arrived we can't even pretend that it is still summer so work on the plot and in the garden has moved into a different direction - clearing, tidying and planning for next year. On our plot digging will have to wait as the soil is bone dry! Work last week was dominated by tidying around fruit trees and bushes.